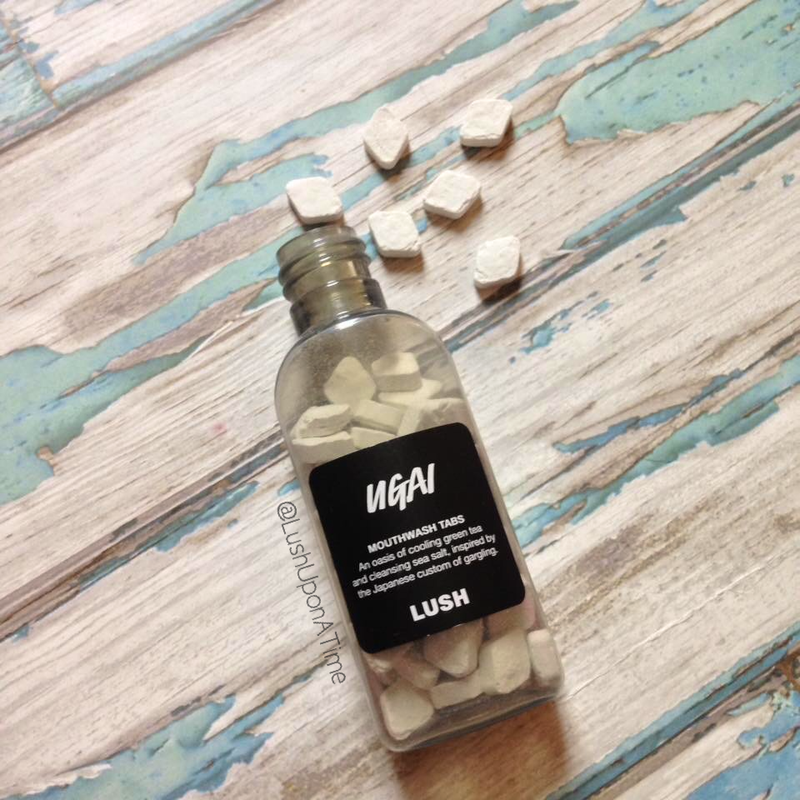 After the most amazing Lush filled week, I have finally found the time to get my 3rd and final post drafted up on the new mouthwash tabs from Lush. If you have been following my posts then you’d know that the wonderful people behind the Lush Kitchen kindly gifted me all 3 flavours prior to their release date last week. I won’t repeat myself as I am eager to get on with my reviews, I will however leave you with 2 links just in case you missed my earlier posts on the subject, post one can be found here, as well as post 2 here. I am going to start by writing a little bit about the concept behind a solid mouthwash. A lot of people just don’t get it. Liquid mouthwash is easy enough to get hold of and works just fine. That statement is true but now that Lush have created a solid version the possibilities of mouthwash have grown. Travelling light is always a struggle. Especially if your chosen mode of transport is an aeroplane. If you’re only taking hand luggage with you, there are so many restrictions on what you can take on board. This also applies just for travelling in general, if you can have a lighter bag due to not having to pack huge bottles etc then the concept of making solid cosmetics to travel with is ideal and a complete cosmetics game changer. The list of supplies I need to have with me when travelling is never ending, it’s not until you do start to pack for a trip that you realise how much you really do need at hand. 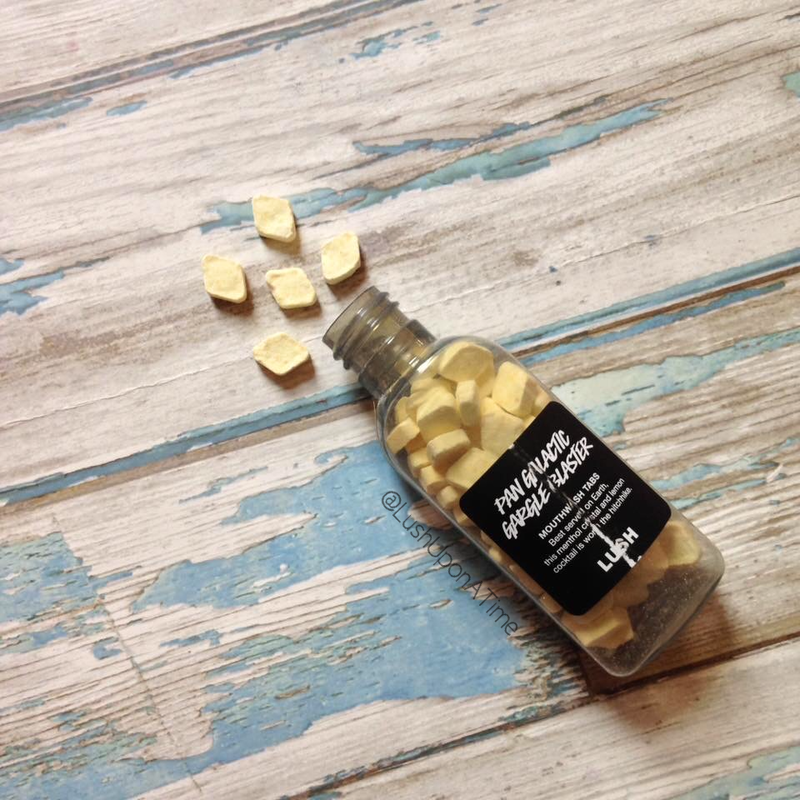 Mouthwash tabs are therefore a much welcomed addition to the the solid cosmetics family invented by Lush Cosmetics. 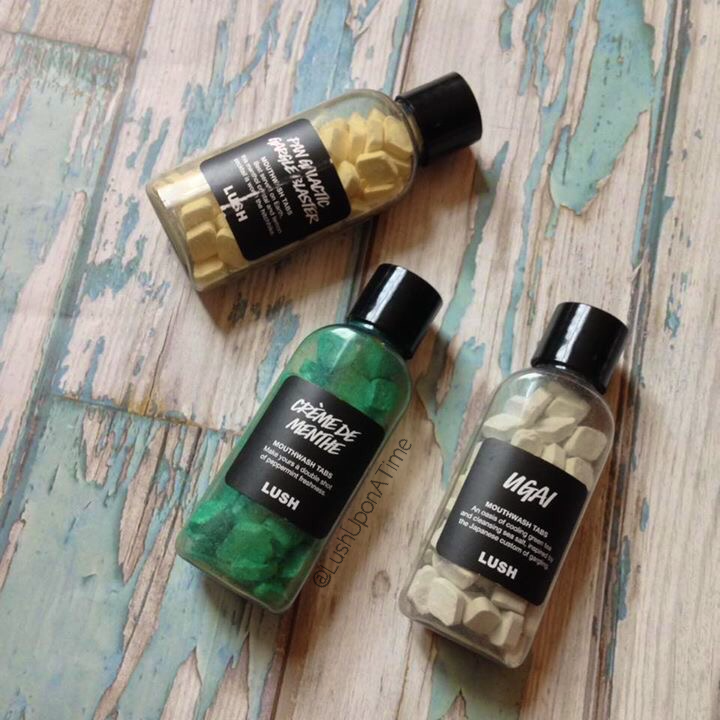 Several solid Lush products have already proved very popular and their sale stats reflect their popularity. A solid cosmetics boom has taken over the cosmetics and beauty industry and it is so exciting to have been given the chance to be a part of it. Thank you Lush Kitchen! The clever people at Lush have provided us with the likes of solid deodorant, solid shampoo and conditioner bars, solid toothy tabs (used just like toothpaste), solid perfumes, shower jellies and even solid sun block. There was therefore most certainly a gap in the market for a mouthwash equivalent. The bottles of the mouthwash tabs are both small and compact, the tabs are easily used anywhere making them a great ‘I can’t leave the house without it,’ product. All you need is one tab and a small swig of water to aid you in the quest of quick and easy oral refreshment. Freshening ones breath in-between morning and nightly brushing, has never been so easy! Many people have asked me which one of the 3 tabs are my favourite. I honestly can’t decide. All 3 have qualities I look for within a mouthwash and I am keen to discuss them with you below. Pan Galactic Gargle Blaster mouthwash tabs were the second of the 3 mouthwash tabs that I tried. Out of the 3 I’d say that this one left my mouth feeling the cleanest. several hours after using it my teeth still felt as if I had only just brushed them, whenever I use one I can’t stop running my tongue over my teeth, nothing feels better than a decent set of pearly whites! As far as mouthwash products go you would expect the one that left your mouth feeling the cleanest would be minty. Pan Galactic Gargle Blaster mouthwash tabs aren’t minty at all. Reading their ingredients I thought I wouldn’t actually like the taste of them. Pan Galactic Gargle Blasters have lemon and aniseed oil in, aniseed is something I personally really don’t like as an ingredient as I dislike the flavour. I was nervous about putting the Pan Galactic Gargle Blaster tab in my mouth as there’s nothing more icky than not being able to get a taste out of your mouth I however took one for the team and shock, shock, horror, horror I was pleasantly surprised! it was the complete opposite of a horrifying experience. I liked its flavour. The lemon and aniseed compliment each other and neither packed too much flavour. They appeared to be in perfect quantities. The scent was even pleasant, the lemon being more prominent than the aniseed. The Pan Galactic Gargle Blaster may have also changed my opinion on aniseed too which is a HUGE thing for me. 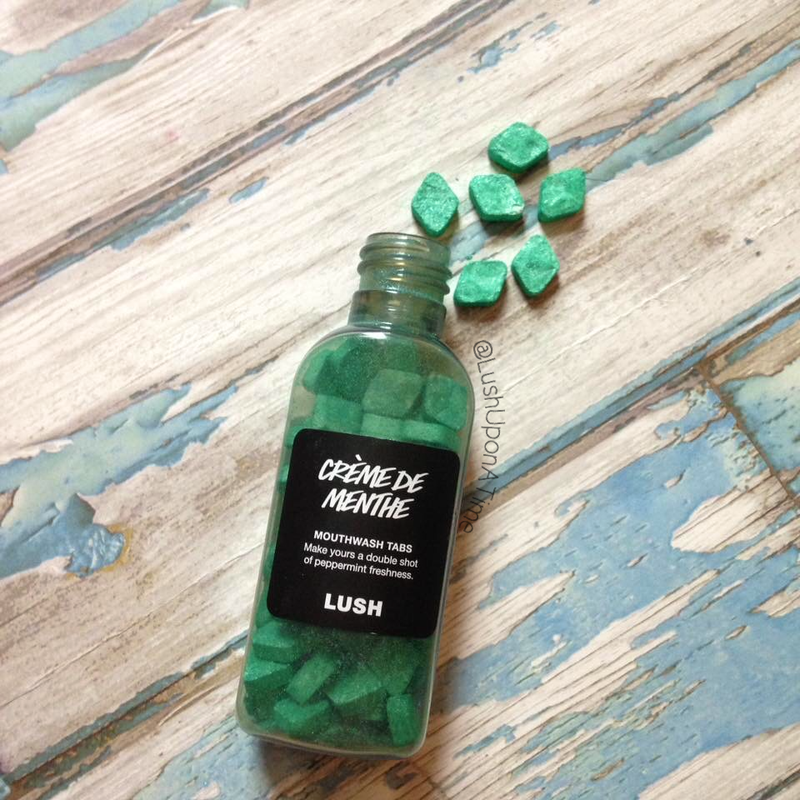 The Crème De Menthe Mouthwash Tabs are probably the best ones to start off with if you’re unsure of the concept of solid mouthwash. It like traditional mouthwash is peppermint based so is an excellent first stepping stone for the uncertain mouthwash-tab newbies. The presence of peppermint oil was what made me decide that Crème De Menthe would be the tab I tried first. I find the Crème De Menthe tabs to be really refreshing. They aren’t quite on par on a fresh-scale as the Pan Galactic Gargle Blaster but they do an equally good job. Like the Pan Galactic Gargle Blaster tabs my mouth feels so clean after using it. The fact it has peppermint in makes it the mouthwash tab I feel most confident in using. It is excellent used as a quick oral-refresher after meals. From reading other people’s reviews on the Ugai Mouthwash Tabs I can conclude that it is the least popular of the three. The same feelings I had for Pan Galactic Gargle Blaster in regards to the aniseed ingredient were present for the Ugai tabs too as I really wasn’t sure how I felt about its ingredients. Tea tree is one of my favourite ingredients within Lush products, putting it into a product that is meant to be put in my mouth however had me feeling anxious. Influenced by my positive experience with the aniseed in the Pan Galactic Gargle Blaster tabs, I decided that I could yet again be wrong so tried Ugai without hesitation. People in reviews have said that they couldn’t get their head around the Ugai being mainly tea tree based. They have also said that they couldn’t stand the taste of the Ugai as in addition to the tea tree there is also a huge amount of sea salt in it. Against all odds I actually really like the taste of ‘too much’ salt. Salty water although I obviously don’t drink it has always been a nice taste for me. I would happily gargle salty water for hours and have had to do so because of dental work I’ve had etc. Using a Ugai mouthwash tab was in no way an unpleasant experience for me. 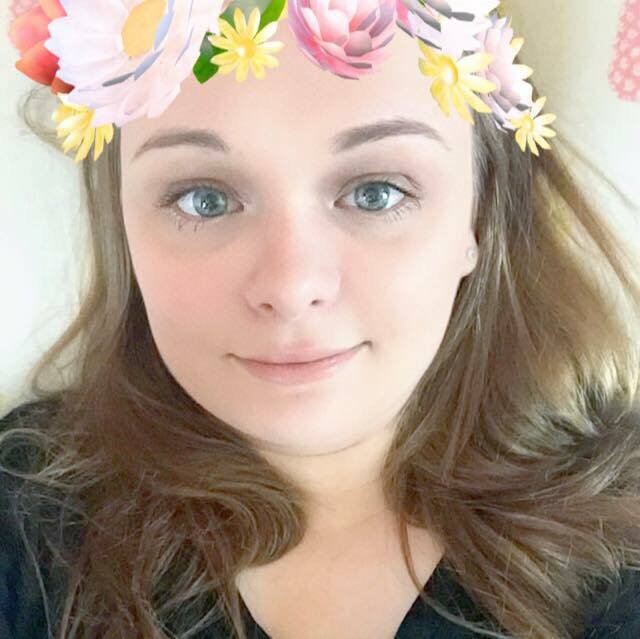 I liked it just as much as I did the other 2. I would recommend using it as a palate cleanser in between food as its flavours doesn’t change much within the mouth. It cleanses but isn’t masked by scent/taste. We’ve all tried sipping orange juice straight after brushing our teeth with minty toothpaste and it’s not a pleasant experience at all! This is why I feel that Ugai is perfect for cleansing your palate in between courses or just in between meals. The tea tree and sea salt within Ugai makes it antibacterial too. This will prove very beneficial if you have any infections within your mouth and throat, gargling it alone won’t get rid of any infections it however is an excellent way to keep things orally clean. Overall I am blown away and so, so, so impressed with all 3 of the brand new mouthwash tabs, as I said above each one has its own reason for being great and I strongly recommend giving them a go, my mouth has never been so spoilt! This is so interesting!! I love how innovate they are!! Out of curiosity whats the life shelf on these tabs? Sounds like another fascinating product by Lush: they are so innovative. You might manage to turn me into a Lush lover soon if these posts are anything to go by.. Due to being mostly bath bombs and with me having only a shower and no bath, it doesn’t make a lot of sense for me to really venture into Lush that often. I didn’t realise they had little hidden gems like this and these mouthwash tabs sound so much better than simple liquid mouthwashes. I really like the whole idea of them and I’m really excited to seek them out and try them for myself sometime! I love how detailed your product reviews are, too. SO damn informative and in depth.